The NHS Newborn Blood Spot (NBS) Screening Programme uses a heel prick test to screen newborn babies for 9 rare but serious conditions. Babies who test positive can then be treated early, improving their health and, in some cases, preventing severe disability or even death. From today, the NBS Failsafe Solution (NBSFS) IT system, which flags up babies who may have missed screening, is complete in all parts of England, which is great news. 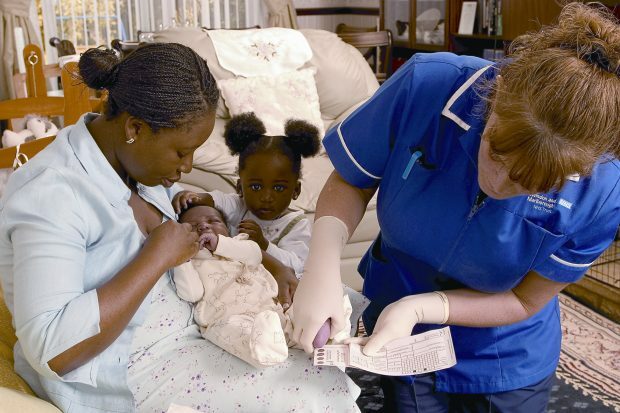 Screening staff can use the NBSFS to track NBS screening for all babies born in England. Babies will be tracked until all tests and repeat tests are completed. Users will be able to see the full screening results for babies in their care. All 13 NBS screening laboratories in England will provide the data needed to the NBSFS. For some time, the system has been able to identify babies who have had no NBS screening at all, but until now it couldn’t always track babies who needed a repeat test. It’s not only the babies who benefit from this development. Now that the NBSFS contains all the NBS result data, it should now be possible to provide data reports directly from the NBSFS, which will save time for screening staff. This is a significant milestone for NBS screening in England and we are fortunate to have this unique and efficient method of tracking babies. At the moment, this failsafe only protects babies born in England. However, we are hoping that we will be able to include babies up to one year old who move into the country. NBSFS users should remember that it is not a tool for requesting repeat samples. Local processes for requesting repeats should continue as before. The national programme team would like to thank the NBS screening laboratories and other NBSFS users for the work that has gone into the full implementation of the system. For more information, contact NBSFS project lead Julie Wilcox julie.wilcox2@nhs.net. Are your blood spot samples taking too long to arrive at the screening lab?